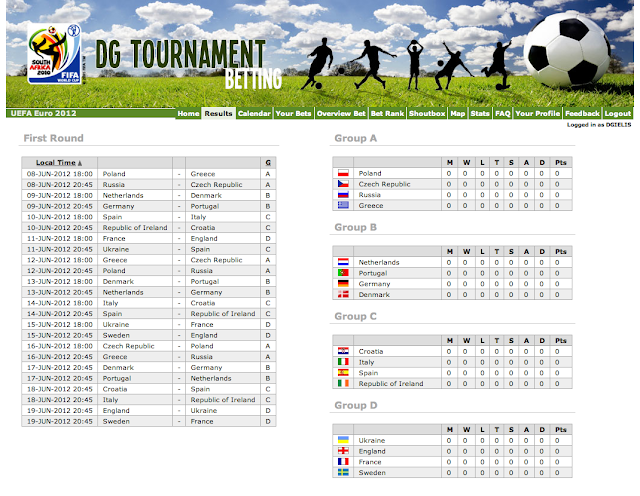 Just a quick note to say I entered the matches of UEFA Euro 2012 in DG Tournament now, so you can bet on the games again (don't forget to add this tournament to Your Profile first after you login). A new banner is on his way... To be honest, I didn't think of opening it up again for this tournament as Belgium isn't qualified, but obviously other countries did qualify ;-) and it sounds people looked forward to play again (looking at the messages I received). And yes, I must admit, even when your own country doesn't play, it's more fun to predict a score with friends first and than watch the game. Time goes so fast... 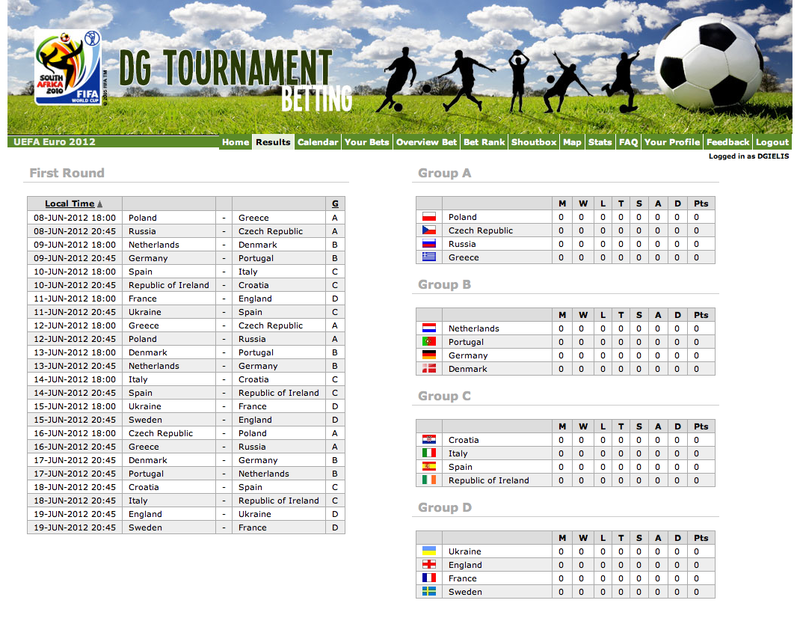 It's already 6 years ago I created the initial site to bet on the WorldCup 2006! If you want to read some more history on DG Tournament you can do that here. I didn't do any updates to the app this year. 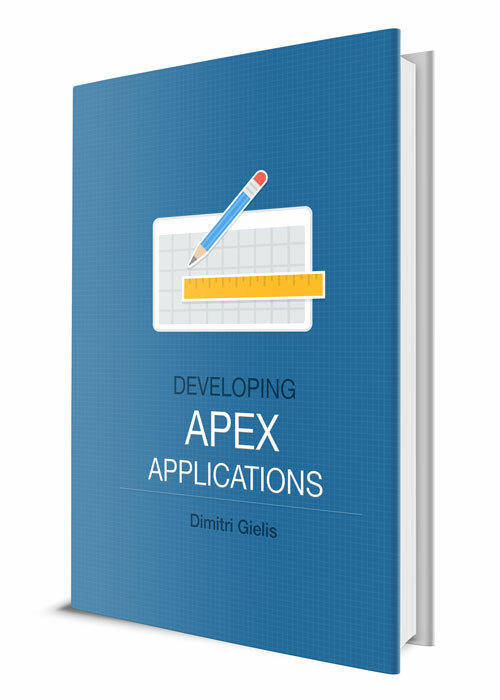 I did think of putting this app on the Oracle Public Cloud or make a mobile version of it to showcase the power of APEX 4.2 (and JQuery Mobile), but as those didn't go live yet, and I currently don't have that much spare time, I decided against it. I didn't really foresee prices like I did before... it's all about honour this time! If you are using Oracle Application Express, and you are in the top 3 ranked people, I'm happy to give away an Export Oracle Application Express books. That the best may win!